The Catherine Guest House is can be found close to Camberley Railway Station, Legoland and the Royal Military Academy. 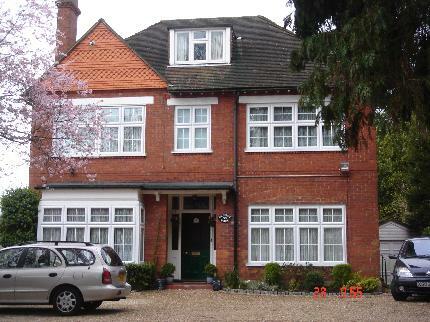 This is a roomy 6 bedroom Guest House conveniently located in located in Camberley Surrey. This family-run property does its best to make guests feels relaxed comfortable and at ease. There is definitely a home-from-home vibe going on. The guest house boasts ample on-street parking. Heathrow Airport is just thirty-minutes drive whilst Gatwick Airport and Central London can be reached in approximately an hour. There is also easy access to the M3 M4 and M25.